Perhaps with T-Mobile CEO John Legere constantly talking about ways to eradicate customer's "pain points," it shouldn't come as a surprise that the nation's third largest carrier finished on top for Overall Customer Satisfaction in 2017 based on surveys taken by HarrisX Mobile Insights and YouGov BrandIndex. Both research firms state that T-Mobile customers were more satisfied than those subscribed to rivals like Verizon, AT&T and Sprint, all throughout 2017. Besides offering extras like free Netflix for those with two or more T-Mobile One lines, the carrier gives away several goodies and enters account holders in weekly contests on T-Mobile Tuesdays. And of course, the wireless operator loves to brag about its network. T-Mobile had to play catch up when it started to build out its 4G LTE pipeline. Now, it covers 99% of the number covered by Verizon's 4G LTE signal. And according to Ookla's Speedtest, T-Mobile's LTE network has been ranked as the fastest for 16 consecutive quarters, which is four years in a row. But if one achievement stood out in 2017, it was T-Mobile's $7.9 billion purchase of 600MHz spectrum in the FCC auction. In just half a year, the carrier went from closing on its winning bid, to deploying and using some of the airwaves for its operations. Low-frequency spectrum travels farther and penetrates buildings better than higher-frequency airwaves. 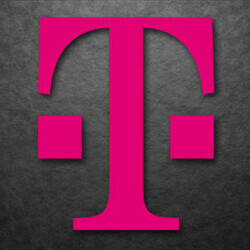 And T-Mobile will launch more than 12 new handsets this year that will be compatible with the 600MHz frequency. You can check out the results of the HarrisX and YouGov surveys by clicking on the slideshow below. Sprint and AT$T basically tied for last. But there's a big difference between the two....Sprint is trying hard to win over customers and showing a complete reversal from the days of past. AT$T just doesn't care for the consumer....unless you bundle a bunch of their services together. T-Mobile has been great for me in the Chicagoland area. Verizon is a big rip-off. I would like to see where they did these test, because where I was living, TMO was fast when I was downtown and when I got home, which is 20 mins away, it was so congested they had to put a cellspot in my house. I then switch to ATT, which I k we better and though it seems faster, as soon as I go over my data, they slow you to a crawl of 128k. That slower than a dialup modem, which is BS for what they charge. So glad I left them. Since I have to travel back and forth between US and Makati, I've switch to affinity, which uses VZWs network. Have yet to test it out, but I hope it better. If not, I'm dropping all carriers, get me a cheap feature phone and just use my smartphone on Wi-Fi. I refuse to pay high prices for shabby service. Project Fi is the best option try it out you will not regret it. Fi uses T-Mobile and Sprint, maybe that would help but I think T-Mobile is their primary so I would be cautious if you have already had a bad experience in your area with them. T-Mobile is great for me in every aspect except for returns. I ordered a Samsung watch last year and they flat out lost the watch once their warehouse received my return and never refunded me. After 4 months of calling about 20 times, they finally gave me my refund. Now I tried out and returned the iPhone x and it took tooth and nail just to receive my $362 deposit back and even then they only refunded me $262. At this point I'm just like eff it keep the $100. Yeah I think I'm just not going to order anything on tmobile.com and return, forget that.